A UK man who threatened to kill 200 people in the US whilst using a false Facebook name has pleaded guilty to the offense this week at Newcastle Crown Court. Reece Elliot, 24, of South Shields was remanded in custody and is expected to face a custodial sentence in June, with the Judge commenting that a prison stay is inevitable. Elliot made the threat in February this year on a memorial page which was set up for a girl from Tennessee who was killed in a car accident. According to the BBC, the posts upset so many children that a huge 3000 missed school the following day in Warren County. Your typical thoughtless internet troll, Elliot apparently thought it would be a gas to post “My father has three guns. I’m planning on killing him first and putting him in a dumpster,” on the RIP Caitlin Talley page. “Then I’m taking the motor and I’m going in fast. I’m gonna kill hopefully at least 200 before I kill myself. Elliot, who describes himself as a part-time troll, said that he wanted to see if he could provoke a reaction. It seems he got what he wanted and was charged with making one threat to kill and eight counts of sending “grossly offensive messages”. He denied four other counts of threats to kill and this was accepted by the prosecution. Popular messaging app Viber for Android has been found to contain a flaw that allows attackers to bypass screen locks in order to take control of a smartphone. The vulnerability was discovered by Vietnamese security experts at Bkay, who said that the bug works in different ways, depending on the handset it’s been installed on. It seems that allowing pop up messages and using other parts of the app allowed the lock screen to be bypassed completely. 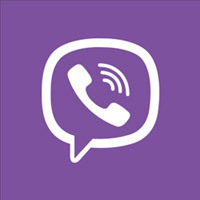 Viber has subsequently been made aware of the bug and are said to be working on a fix. In the meantime, it’s recommended that users don’t let others use their phone until the fix has been made public. Whilst the app has been downloaded from Google Play more than 50m times, the bug doesn’t represent a serious threat when compared to others that have recently been found in the Android marketplace. The very fact that someone has to get hold of the phone in order to bypass the lock screen using the app makes it a lesser threat than many. Android malware has seen a huge increase in recent years, with many infections causing huge bills to be run up as a result of being signed up to premium rate numbers remotely without user knowledge. “The way Viber handles to pop-up its messages on smartphones’ lock screen is unusual, resulting in its failure to control programming logic, causing the flaw to appear,” said Nguyen Minh Duc, head of Bkav’s security division. With PC sales experiencing the biggest slump in sales in decades, prices are getting lower and lower in an attempt to convince consumers that tablets are not the only worthy devices. Whilst this is being blamed for the most part on the rise in tablet computers, Windows 8 is also seen to be a big contributing factor to the decline, due to its inherent unpopularity. Early users reported a difficult to use and confusing operating system and sales have been considerably less than expected for Microsoft. Now they may have even more to worry about with the possible emergence of Android-powered notebooks which, according to Intel, are set to hit the market retailing at under £200. It’s thought that these will run Intel’s Atom CPU in combination with Android, making for another potential blow to Windows 8 sales. With Android dominating the smartphone market and holding its position of the world’s favourite mobile operating system, you have to wonder if it will eventually take over Microsoft’s position entirely. However, Redmond’s giant isn’t yet dead and there’s still time for Microsoft to turn the tide by bringing out updated versions of its latest OS, but to be successful, I suspect they may have to take a close look at the budget PC market if they want to make it work. Unless you’ve failed to see any news this week, it surely can’t have escaped your attention that Liverpool striker Luis Suarez has been plastered all over the place, thanks to his conduct at last week’s fixture against Chelsea. The striker obviously became frustrated and decided that it would be a good idea to bite Chelsea player Branislav Ivanovic’s arm. Failing to take a proper chunk out of the opposing player, Suarez incredibly also failed to get sent off by what can only be described as short-sighted officials. Whilst he’s since been given a 10-match ban by the FA, Liverpool fans and pundits alike have become concerned about the player’s inability to play by the rules, with many expressing the thought that he should leave the club. So for all of you wondering what all of the fuss is about, here it is.